Thank you for your support during this difficult time. Please enhance this tribute to Robert by adding your memories and photos. 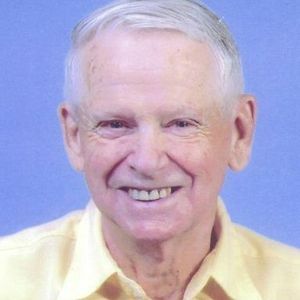 Robert Ashley Dickinson, Sr., 92, of Charleston, South Carolina, widower of Inez Nogaret Dickinson entered into eternal rest Monday, March 18, 2019. His Funeral Service will be held Saturday, March 23, 2019 in J. Henry Stuhr, Inc. Downtown Chapel, 232 Calhoun Street at 2:00 p.m. The family will receive friends one hour prior to the service in Stuhr's Downtown Chapel. Burial in Arlington National Cemetery will be held at a later date. Robert was born November 9, 1926 in Binghamton, New York, son of the late Walter Dickinson, stepfather, Casper Davison and mother, Mame Short Davison. He was a veteran of the United States Navy and was retired from film manufacturing. Robert is survived by three sons: Robert Dickinson of Endwell, NY, Larry Palmer (Debbie) of Slippery Rock, PA and Gary Palmer (Donna) of Slippery Rock, PA; four daughters: Denise Kerekes (Joe) of Charleston, SC, Gail Weatherbee (David) of Charleston, SC, Mary Ellen Cook (Bob) of Jacksonville, FL, and Lisa Docster (Jamie) of Jacksonville, FL; and sister, Vivian Tallman of Endicott, NY. Robert was predeceased by his sister, Albertha Dickinson Corey. Memorials may be made to The Fisher House, PO Box 1678, Charleston, SC 29402-1678. May the power of God's love comfort and sustain you during this most difficult time. Life Stories provides friends and families a forum to post their favorite stories and memories of Robert Ashley Dickinson, Sr. ensuring the precious experiences are never forgotten. Share joyful times, post a photo that captures the moments you cherish, and allow others to reply, relive and remember.